Whether you are a celebrated film composer or a perpetual dabbler into the aural arts, creating good music brings joy that can rarely be described in words. Over the years, the process of creating music has undergone a major transformation. Where old singers used to meticulously scribble musical notes on crumpled sheets of paper, we now find musicians with iPads and earphones. In fact, technology has taken over music editing so much that you can even create a complete symphony just by using a computer. While whether the huge technological takeover is a topic for another article, we'll let you decide what's best for your musical studio by giving you plenty of new options when it comes to editing music on the go. 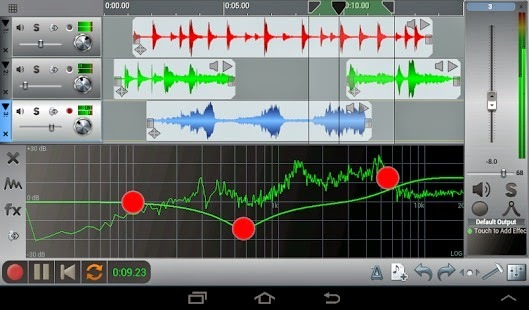 So, without much ado, here are some of the best apps that let you record and edit music on the go. 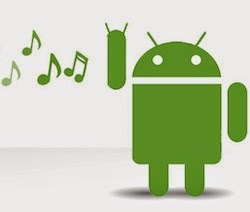 If you are specifically looking for a solution that helps you cut MP3s on the go, this is the app for you. Once installed, MP3 cutter will conveniently list out all the MP3s you have on your smartphone. What makes this app great is that it lets you accurately cut the music files exactly the way you want. So, once you edit the file, you can set it as a ringtone or an alarm tone. Also, instead, you can save the file on your SD card and later access it on your computer. Either way, this app is great for cutting a bunch of music files on the go when you are traveling or don't have access to your computer. 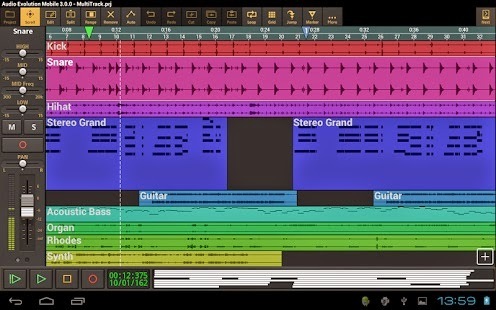 PocketBand is kind of like GarageBand for Android. It lets you build high quality tracks as a sequence of loops, tweak them up, add some funky effects to them and then export those files to MP3 as ringtones. The UI consists of a touch-friendly 12-channels mixer with effects and a 3-band parametric equalizer. As for the effects, they are plenty with delay, flanger, chorus, reverb, phaser, distortion, and compressor at your disposal for getting the most out of your edited tracks. Though the sheer number of effects and settings might seem overwhelming, the app is, in fact, quite simple to use, even if you are not an audiophile. 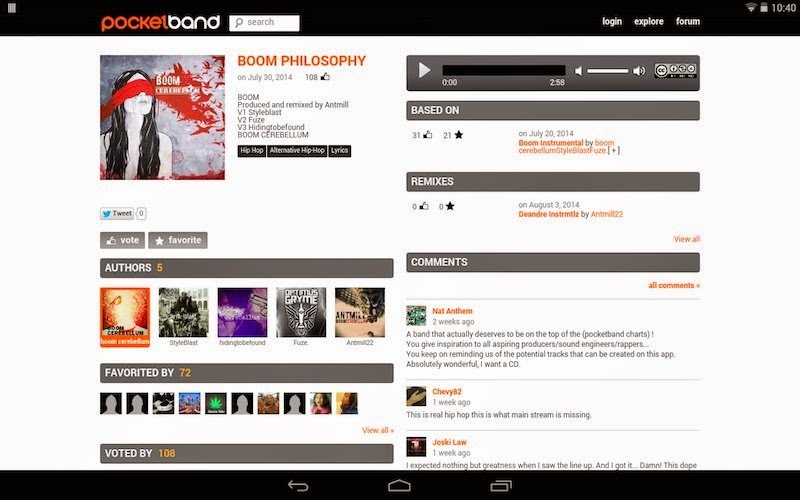 Also, the collaborative features of PocketBand make it quite easy for you to make music no matter where you are. Note that this app needs a working Internet connection to function. This is probably one of the most high-featured apps in this genre. Much like its desktop counterpart, this app too lets you do a lot with your music, that too with just your computer. With over 133 high-quality instruments, FL Studio has a whole lot to offer. 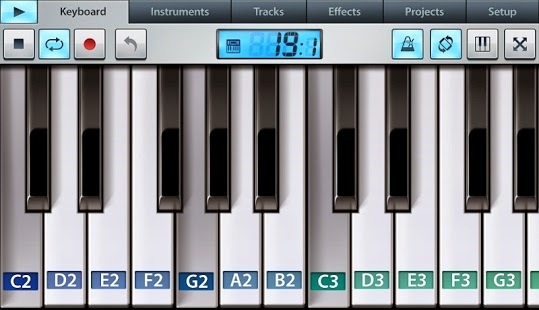 This means that you can even create a complete song on this app, right from your smartphone. If you use an Android tablet, this app would be a much better investment, as some of the settings might be a little hard to see on smaller screen. That said it is a worthy investment if you are in the music business. Though not a complete audio editor per se, n-Track Studio is a great investment for bands that are on tour and looking to set up a full-fledged recording studio at a low cost. With all the required effects for mixing a complete song, n-Track studio lets you record a base track with the smartphone's built in microphone. Then, once you are done, you can add the solo track on top of it and then mix it up using the UI. Once you are done, you can email the recording directly from your phone. Audio Evolution brings a fully featured MIDI track sequencer to your phone. With lots and lots of features to explore, this is probably an app that the pros wouldn't blink twice before investing their money in. Audio Evolution DAW lets you import files in various formats including WAV, MP3, AIFF, OGG and even FLAC. You can then mix and edit the track and even add the effects you want (distortion, overdrive, wah-wah, etc). Once you are done, you can export those tracks in any format you want.